Ring the bells, spread the news far and wide! The Classic Club Spin #15 is here! I've managed to join in every single spin. For details on how to play, click on the link here. The main things you need to know though, are to compile your list of 20 books by this Friday - the 10th March. You have until the 1st of May to complete your book and review it. I've also had fun by reading my book with other Classic Clubbers during many of the spins. #3 My Cousin Rachel (looking forward to the movie later on this year too). #4 The Brothers Karamazov I gave up on this chunkster about halfway through, then I lost the book when we moved last year...serendipity, I say! #11 So Big by Edna Ferber with Christy where we both experienced the joys of rediscovering a forgotten award winning classic. #12 Dubliners by James Joyce was too depressing and hopeless for my current state of mind. This time around I feel the need to tackle one of those trickier books lurking on my classics list that I've been putting off reading for one reason or another. In some cases it's the size of the book; for others it's a poor review or two that has me worried and the rest I'm not too sure about whether they're my kind of book or not. Encouragement and support always welcome! 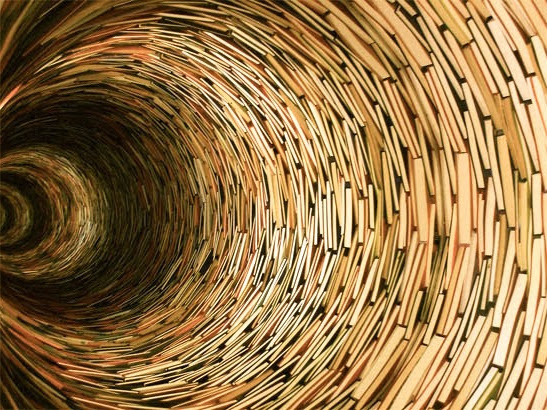 As you know, I like to read my spins with others, so if you spot a book or author we share in common, please let me know in the comments below. P.S. This post is my 999th post!! I wonder what will tomorrow bring! The spin number is #12, which means Karen Blixen and Out of Africa. I've been dreading this one. I remember the movie as being difficult (although I was only a teen when I watched it hoping for an exotic romance & ended up with a disintegrating marriage instead). I picked up the book once not long after and gave up on it very quickly. I'm hoping a more mature, realistic Brona will appreciate the complex, complicated relationships now! My edition is part of the 2011 Penguin Essential range with a lovely watercolour cover by David Gentleman. (Isak Dineson was Blixen's pen name when she wrote in English). Hey, I'll do This Side of Paradise with you. Make it #15? I can move it around to wherever if you fill that slot. Great list! I just read "Swann's Way" and also recently reread "The Way We Live Now". I'll be interested to see what number is spun. What did you think of Swann's Way? I'm pretty nervous about it. No crossovers on our lists, but I hope you get The War of the Worlds, 'cos I'm hoping to re-read it soon myself. Good luck with the spin! Very nice list, Brona. You have some big books here! We don't have any cross-overs, unfortunately. Hopefully the winner is #5, so that you might be able to join me in #Zoladdiction. Good luck anyway with any number that might win, you have a lot of good books there. Wahoo - you weren't kidding! Zoladdiction2017 here we come. With or without the spin I'll read Fortune of the Rougon in April with you. I always chicken out and take Swann's Way off the spin list! You have some great books here: Master and Margarita and Out of Africa are both excellent. Don Quixote is a pain or a pleasure depending on the translator. I have two of the same books - Mary Barton (which I already had st no. 10) and Little Dorrit, which I moved to no. 9. Thanks Margaret, I've added your links above. I do love the idea of a potential reading buddy or two for some of these books! So many good picks! Crossing fingers we both get Mary Barton. A good choice and lots of variety. I would like to read Master and Margarita as well. Have seen the play once, but can't remember too much. I somehow limit myself to what I have on my shelves, but have to venture out of them when it comes to classics. Villette I have read. It is about Brussels so a must here. I am not that enthusiastic about it, but it is a rather different book. But Charlotte is always good! 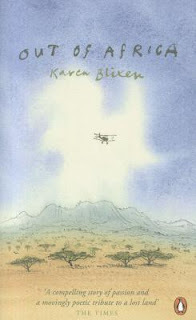 Out of Africa is interesting, a tough bird Karen Blixen. Virginia Woolf high on my list after reading my fist book by her; To the Lighthouse. Fitzgerald is always interesting. Looking forward reading Goodby to Berlin with you, if this hits the number! I see that you will be reading Out of Africa for this spin. That's one of my favorite books! The writing is so beautiful. Enjoy! I hope Out of Africa works for you this time around. I've been wanting to read it for a while myself, but somehow never manage to get around to it. Enjoy!